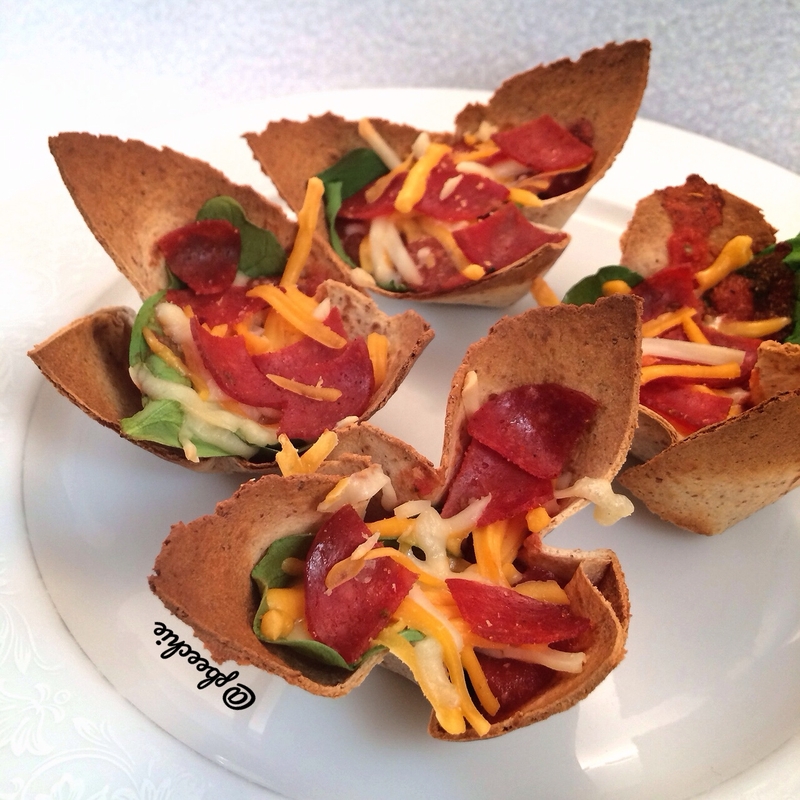 Perfect for a party snack or as a dinner for yourself if you've got a pizza craving! Preheat the oven to 375 F. Cut 1 large low carb la tortilla factory tortilla into 4 even pieces. Then spray a muffin pan with a nonstick spray and press each piece into a mold. Bake at 375 F for 10 minutes. Then put in spinach, all natural tomato sauce mixed with salt free garlic bread seasoning, cheese of choice, and turkey pepperoni! Then bake it all for 5-6 more minutes until the cheese gets melty. Eat!